In Florida, for example, we have a streamed lined process called a Simplified Divorce. A Simplified Divorce is much faster than the usual divorce process, which can take months. For example, if your marriage is short and there are no assets, and you meet the requirements for a Simplified Divorce, this might be for you. So what are the requirements for a simplified divorce? 9. A Marital Settlement Agreement must be submitted. Pretty simple, huh? That is why they call it a Simplified Divorce. 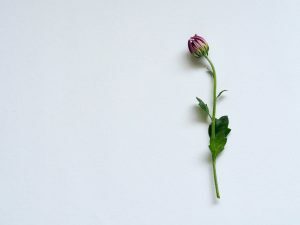 In my experience, most people filing for Simplified Divorce are those that after the wedding, go “Oops, maybe we should not have done that.” In my practice, most of the Simplified Divorces I see are couples who have been married a few months or a year and decided they were just not meant to be together after all. On the other hand, if you fail to meet ALL the requirements, you can not file a Simplified Divorce. Miami-Dade, Broward, Palm Beach, and Monroe County Clerk’s Offices have Self-Help divisions that, although they do not help much, can provide you with the papers to file. Where most people have a problem is with the settlement agreement or the division of property. Even if you intend to file for a Simplified Divorce yourself, I always recommend you speak to an attorney. Speak to your attorney before going to the Self Help because only an attorney can give you legal advice. The Self-Help division will not provide legal advice to you. These are two completely different concepts that are occasionally confused. For an explanation of an Uncontested Divorce, please see my informative video What is an Uncontested Divorce?